It's time for my final release posts with Some Odd Girl. I'm so sad this DT term has come to a close, I still kinda can't work it out in my brain that I wont be on the team any more as of Wednesday. But anyway, onto the card. This month we're introducing you to the adorable Bouquet Toby and Daisy Mae. I used some Wplus9 new yellow Falling Star Dye Ink, and a Simon Says Stamp wonky hearts background Stamp, for the background. I then cut that panel down to size (just smaller than a cardbase in height), and attached my Mae, who was coloured with coordinating copics. I love how pretty this looks and the yellow combination makes for a nice and simple card, that still has a lot of detail (can it be simple AND detailed?! I think so). The senitment is from the adorable Daisy Mae set, and it's just perfect. 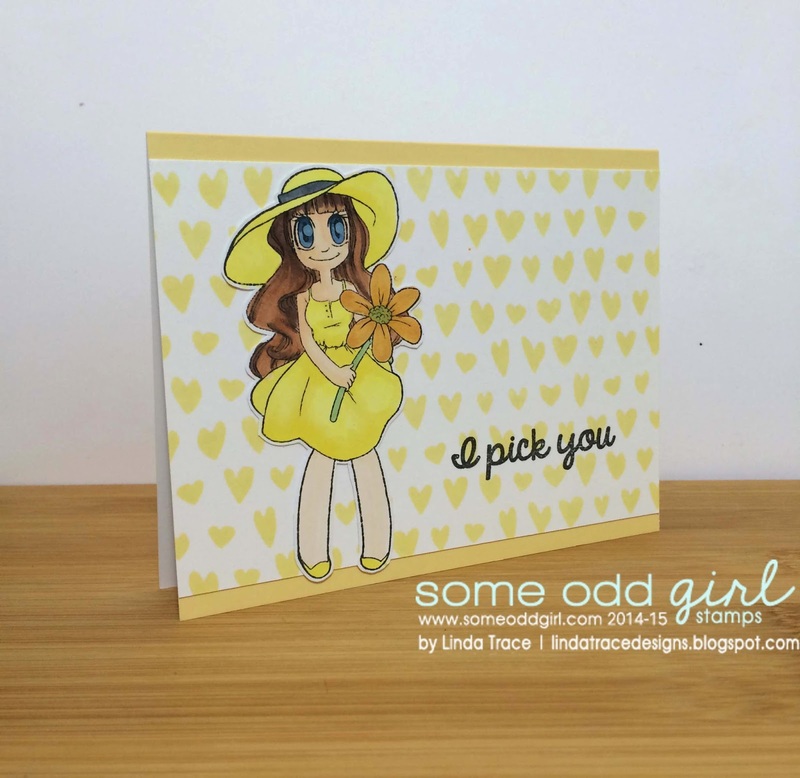 I hope you'll pop on over to the Some Odd Girl blog to check out the rest of the DT's work.